Barrett Kleinknecht hit a home run on his 23rd birthday to help boost the Hillcats to an early lead. 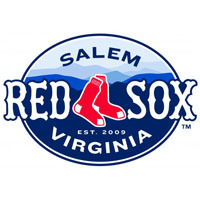 However, the bullpen couldn’t hold on, and Lynchburg fell 6-3 to the Salem Red Sox Saturday night. The Hillcasts scored first in the second inning. Joey Terdoslavich led off the inning with a double to left-center field. Joe Leonard flew out to right, and Terdoslavich showed off some aggressive baserunning, trying to tag up on the play. He launched himself into a headfirst slide, just under the tag of third baseman Kolbrin Vitek. The tag proved important, as he scored on a groundout by the next batter, Christian Bethancourt, to give the Hillcats an early 1-0 lead. Barrett Kleinknecht provided a boost in the third inning. On his 23rd birthday, Kleinknecht launched a drive over the top of the scoreboard in left field for a two-run home run, giving the Hillcats a 3-0 lead. Hillcats starter David Hale had his best start of the season. Hale pitched seven shutout innings, giving up just three hits and striking out a career-high eight batters. However, when Hale departed after seven innings, the game started to unravel for the Hillcats. Matt Crim came into the game and the first three batters got hits, including an RBI double by Alex Valdez. Crim left the game with a 3-1 lead with runners on the corners and nobody out. Andrew Russell came in and gave up a two-run double to Peter Hissey, tying the game at three. Kolbrin Vitek hit a very soft grounder to the hole between first and second. Gosselin was able to range to his right to field it, but was forced to rush the throw, and it went past Russell, who was covering the base. Hissey scored from second, to make it 4-3. Russell settled down after that to get out of the inning, but the damage was done. Valdez hit a two run home run in the ninth to extend the lead to 6-3, which held up for the rest of the game. Russell (1-1) took the loss despite not giving up an earned run. Chris Martin (1-1) pitched four shutout innings in relief for the Red Sox to earn the win. The Hillcats fell to 12-23 in the second half. The Red Sox improved to 15-20. The Red Sox return on Sunday night for the final game this season between the 460 rivals. Lefty Dimasther Delgado (6-6) will take the mound for Lynchburg against righty Anthony Ranaudo (2-4). First pitch is at 6:05 pm, and the gates will open at 5. The Hillcats On-Deck Show presented by Honda/Suzuki of Lynchburg will go on the air at 5:40 pm. Tune in to 105.5 KD Country or go to lynchburg-hillcats.com to listen live to all the action.